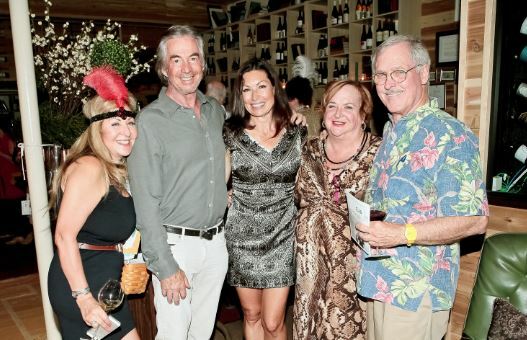 Roberta Dominguez, Gregg Smith, Chelby Crawford, Rosey Bell and Chuck Livingstone enjoyed a previous PFAR Wine Tasting to benefit local charities. 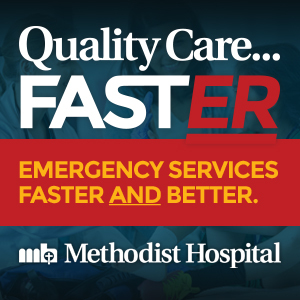 This year’s event will be held on Thursday evening, June 21. 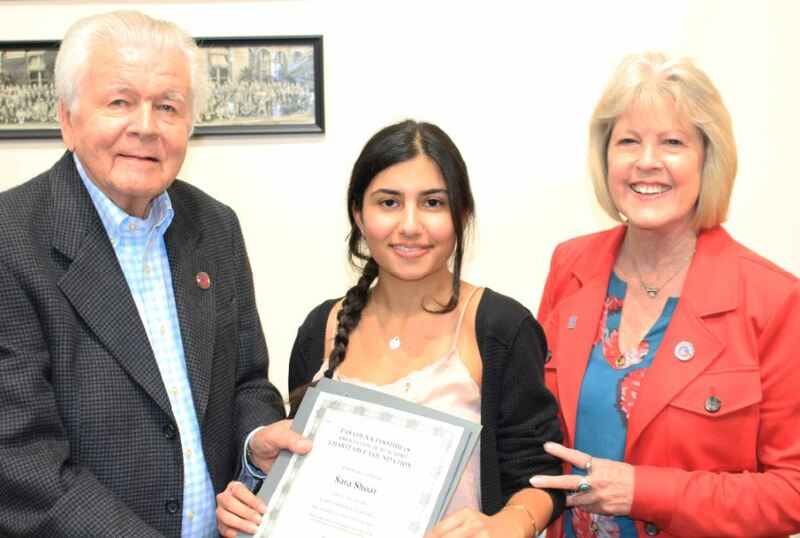 The Pasadena-Foothills Association of Realtors Charitable Foundation recently awarded $10,000 to ten financially deserving college-bound students, including La Cañada High School student Sara Shoar, who is flanked by PFAR Scholarship Board Director Sid Karsh and board chair Ruth McNevin. 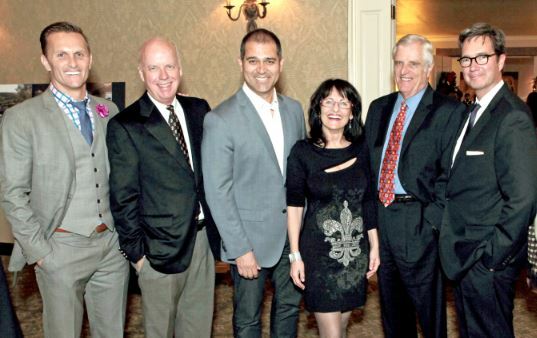 Barry Jones and Bill Podley enjoyed a previous PFAR Wine Tasting to benefit local charities. 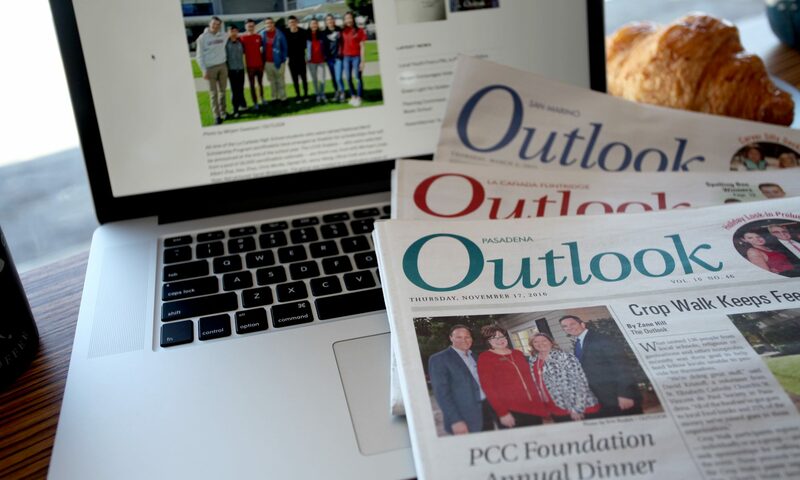 This year’s event will be held on Thursday evening, June 21. 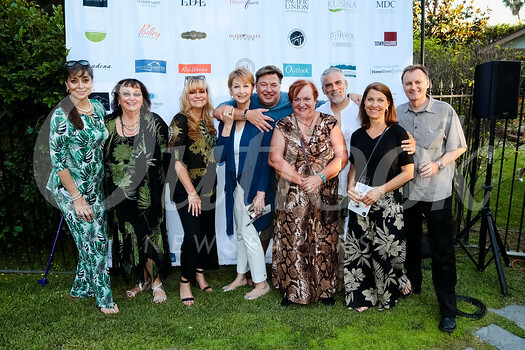 The Pasadena-Foothills Association of Realtors Charitable Foundation kicks off the summer with its first fundraiser of the year: the 27th annual Charity Wine Tasting and Auction Event. 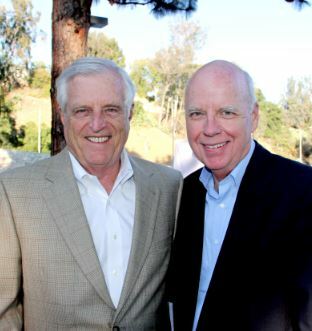 The event is from 5-9 p.m. on Thursday, June 21, at the home of John Fairbanks and Ray Hayes in Altadena. Proceeds will benefit local charities and student scholarships. 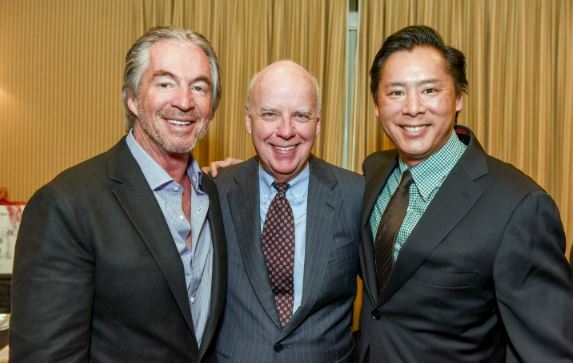 Gregg Smith, Bill Podley and Brent Chang were among those who attended a prior PFAR Charitable Foundation Wreath Auction. 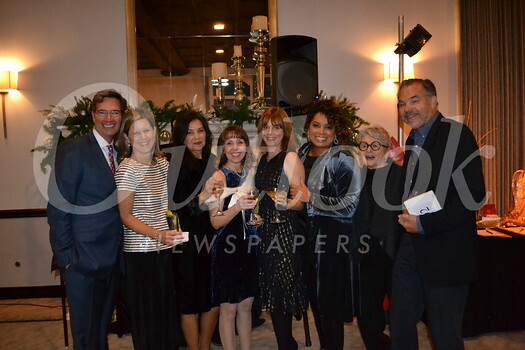 This year’s annual fundraiser is being held on Friday evening, Dec. 1, at the Altadena Town & Country Club. 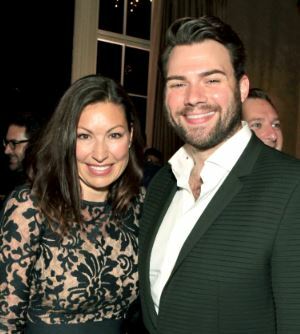 The Pasadena-Foothills Association of Realtors Charitable Foundation will host its largest charity event of the year — its 26th annual Wreath Auction, “A Night in Tinseltown,” on Friday evening, Dec. 1. 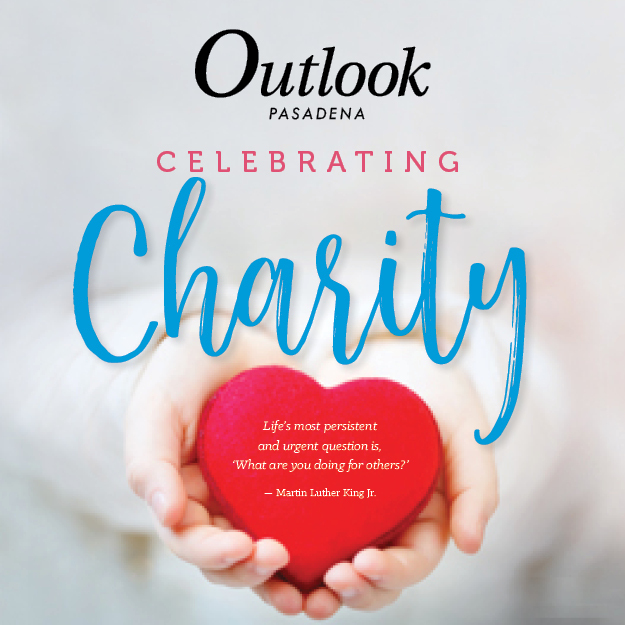 The charity auction and dinner begins at 6 p.m. at the Altadena Town & Country Club. More than 150 guests are expected to attend. Guests will contend for the finest Christmas wreaths and other auction items during the formal affair. 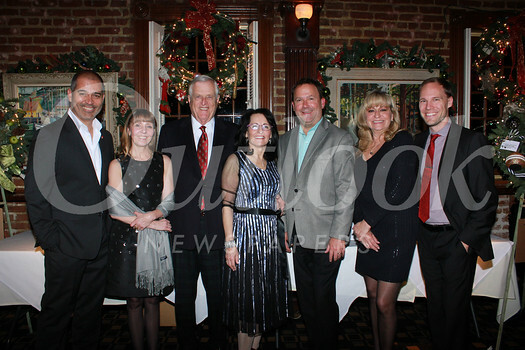 annual fundraiser is being held on Friday evening, Dec. 1, at the Altadena Town & Country Club. Altadena Town & Country Club.